The economic crisis has increased the risk of homelessness and mental health problems due to financial instability, debt, and unemployment. People who are homeless and experience mental health problems often cannot access the very services that are meant to support them. The reasons are discrimination, lack of solutions for multiple disadvantage, and a general attitude of indifference. As a result, interaction with society is compromised and exclusion perpetuated along with its devastating human, societal and economic consequences. Lack of service access makes homeless people with mental health problems one of the most marginalised groups at the time when the risk of experiencing such circumstances is particularly high. This paper presents a situational analysis and recommendations to policy makers and service providers in Europe on addressing the extreme exclusion of homeless people with severe mental health problems, or psychological disabilities. Authored by professionals who work directly with this hard-to-reach group, it provides a rare expert input where limited evidence is otherwise available. The paper identifies the lack of access to services as the root cause and perpetuating factor in extreme exclusion. In response, it advocates prevention and integrated personalised support underpinned by a rights-based approach and calls for relevant policy and implementation at all levels. Underlying these measures, empowerment and a genuine social solidarity are highlighted as key to effectively remedy extreme exclusion. Part one sets the context for the central issue – lack of service access that makes homeless people with severe mental health problems one of the most marginalised groups. A combination of physical, societal and institutional factors prevent people experiencing severe mental health problems from accessing support. The difficulty of service access becomes even more pronounced if these people find themselves in the situation of homelessness. At the same time, homelessness in itself is conductive to deterioration of mental and physical health. Exclusion from services is therefore compounded for homeless people with psychological disabilities. At present, more than one hundred thousand people in Europe experience homelessness combined with severe mental health problems. This extreme form of exclusion engenders loss of trust in social care, criminal activity, and even lethal outcomes. Sporadic use and repetitive intervention of emergency services further undermine the prospects of rehabilitation and come at a cost to economy and society at large. Part two explores the causes of exclusion from services that is experienced by homeless people with mental health problems. The range of services under consideration spans mainstream and specialised health and social support including income benefits. The reasons why people with severe mental health problems repeatedly fall though the safety nets are linked with the cognitive and other specifics of their condition. Services are often unprepared to cater to these characteristics. In addition, stigma plays a crucial role in perpetuating rejection. However, the paper argues, it is not correct to speak of the individuals being excluded, but of services that fail to ensure their inclusion. It proceeds to list the barriers to service access on the providers’ side and gives two in-depth examples. The reluctance to engage on the side of the clients is also considered and linked to repeated past rejection among other factors. Part two concludes by bringing the spotlight on the risks of deinstitutionalisation that is not supported by adequate community-based services to assist people in the transition. Part three puts forward the solutions to confront extreme exclusion of homeless people with mental health problems. The central concepts here are solidarity, rights-based approach, and the prevalence of a person-centred model over economic, institutional and bio-medical considerations. The recommended measures are investment in quality welfare support, provision of a secure home and integrated services, a strengthened link between social and health systems, physical proximity of services, and the deployment of outreach teams to ensure inclusive coverage. It is explained how personalised support should be provided as part of mainstream services to avoid reinforcing stigma. Awareness-raising and training of service providers are also key to counter discrimination. Last but not least, users should be engaged to share decisions and responsibility. Part four focuses on prevention as the best approach to eradicating extreme exclusion. It formulates recommendations in relation to the two routes whereby people with psychological disabilities become homeless – mental health problems arising in a standard social context on the one hand, and discharge from institutions on the other hand. For the former, the paper recommends strategies to reduce evictions and provide secure housing, early intervention in situations at risk, adequate income guarantees through benefits and, if possible, employment support, responsive service provision, and promotion of gender equality. With regards to deinstitutionalisation, the emphasis is on ensuring alternative accommodation combined with quality community-based support that is capable to address the most complex needs. Extreme exclusion due to a combination of homelessness and severe mental health problems affects tens of thousands of Europeans. The reforms proposed to effectively confront this situation are based on access to quality personalised services and EU’s values of solidarity, human rights and social cohesion. Preventive measures are key to avert further societal and economic losses that extreme exclusion entails. An attitude shift is of an equally high importance to deconstruct stigma and promote service access for people experiencing mental health problems. In this context, MHE calls for an EU Action Plan on Homelessness with a comprehensive mental health perspective and invites public authorities at all levels to consider the presented ideas in analysing the design, funding and implementation of existing and future interventions. Along with the policy and practical recommendations, we also advocate for a paradigm shift – away from the bio-medical model and towards a humanistic approach and shared social responsibility. 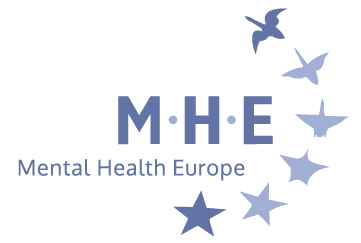 The MHE Task Force on Social Inclusion of Vulnerable Groups was established in order to bring stronger attention to the issues of mental health problems and exclusion. The Task Force comprising representatives of MHE members in several European countries1 took a decision to focus on the topic of access to services by people with severe mental health problems who are homeless. This paper is a result of collaborative efforts of all Task Force members, based on their experience as practitioners in the field. There exists only little research on people with severe mental health problems and homelessness, especially in the European context. Therefore, this paper focuses predominantly on sharing the in-depth experience of practitioners who work directly with people with mental health problems that are or have been homeless. It aims to share their knowledge and understanding of the root causes of severe exclusion of this group and how they can be eliminated. The purpose of the paper is to draw the attention of policy-makers at all levels to this problem and demonstrate potential solutions. It is also hoped that this paper will constitute a basis to formulate future research topics. Through this work, the Task Force hopes to break the systematic tendency to omit this group in policy, services and studies. Within the European context, there exist different policies and practices – the differences occur not only at the country, region or city level, but even within each particular service. Moreover, European countries are themselves in different situations in terms of culture, history, economy, size of the population etc. The statements in this paper do not intend to dismiss these important factors. They seek however to indentify certain underlying mechanisms, which will apply in varying degrees within different contexts. The proposed solution, a major overhaul in thinking and approaching service provision, is considered a universal principle. Yet, it will always need to be transferred and translated into different contexts. People with psychosocial disabilities who are homeless are among the most excluded from society. Nearly all homeless people experience some sort of mental health problem due to their situation, but approximately 30% of people who are homeless also experience severe, chronic mental illness2. The latter group more often than not experiences extreme exclusion and discrimination in nearly all areas of life. Based on the experience of the MHE Task Force members, numerous people with psychosocial disabilities who are homeless lack proper access to a variety of health and support services, which perpetuates their exclusion. As a result, many of them are pushed to the absolute margins of society. What is worse, even services put in place and designed to fight against exclusion sometimes also contribute to the marginalisation of this vulnerable group. Therefore, this problem requires specific attention from policy makers and service providers alike. This issue is the central theme of this paper. This section will review the problem in more detail, before moving on to discuss its causes and possible solutions. When a person with a psychosocial disability who is homeless does not have proper access to services, a number of serious consequences for both the person and society occur. Experience shows that an individual who does not receive the necessary support is likely to deteriorate in mental and physical health, self-medicate with drugs and become addicted – all of which may lead to premature death. Lack of dignity, constant rejection and humiliation experienced in everyday life may push people to suicide – the prevalence of suicide attempts is much higher among people who are homeless3. Severely mentally ill individuals who do not receive adequate support can also become involved in criminal activity and behave in a difficult way in public areas. For the society, the visibility of homeless people in a desperate situation in the streets4, not taken care of by the social system, may lead to a decreased trust in the authorities. Moreover, lack of adequate support to such individuals tends to be very costly for the system, as it leads to the increased use of emergency health care and other emergency services (e.g. police), as well as the judicial system. Emergency interventions are ad-hoc in nature and thus do not allow time for convalescence, nor continuity in cure and in care. Moreover, emergency interventions may be delivered in invasive or coercive ways, and such an experience is bound to make people more resistant and distrustful of services, which will further perpetrate the cycle of exclusion. At the same time, people who are trapped in the “revolving door” syndrome of services, whose complex needs are not properly understood, tend to over-rely on crisis-type solutions. For instance, they use homeless shelters more, and these have also been demonstrated to be much more costly than more stable alternatives5. In this paper, psychosocial disability is understood as an interaction between the psychological and social/cultural components6. The psychological component refers to ways of thinking, experiencing and perceptions of the world related to former or current experience of severe mental health problems. The social/cultural component refers to societal and cultural limits for behaviour that interact with those psychological differences, in other words the person’s psychosocial experience. Thus disability arises through a process of interaction between a condition and the physical, social and institutional settings, and thus is an interactive social creation. There is an important reason why the term ‘psychosocial disability’ is used in this paper. Mental health problems can range from mild, through moderate to severe, and they influence to different degrees both the individual concerned and their interaction with society and their environment. The term ‘psychosocial disability’ is also used to demonstrate that the reflections in this paper apply to people with severe mental health problems who experience such a combination of illness and circumstances that a disability occurs. People with psychosocial disabilities are not a homogenous group. There exists a diverse set of conditions that can lead to a person being labelled in this category. Thus, there is also a range of characteristics and needs that each of such individuals will have. Yet, nearly all people with psychosocial disabilities have two things in common: they are frequently excluded from a variety of societal activities and they are discriminated against – which is what makes their condition disabling. When homeless, what they further have in common is trying to survive in a precarious situation and dire conditions. When addressing their needs and reviewing traditional approaches, the individual differences must, however, be taken into consideration in an in-depth manner. People who are homeless: The MHE Task Force endorses the ETHOS definition of homelessness7 due to its comprehensive approach that spans the physical, social and legal domains. Houselessness: with a place to sleep but temporary, in institutions or shelter. Such focus is due to the fact that people with psychosocial disabilities who are excluded from services frequently find themselves in these two living situations as a result. It must be noted, however, that being roofless or houseless (or in any other category of homelessness) is not a static situation but a dynamic one. People can move between the categories as they find temporary solutions during various periods of time. This paper focuses only on the most affected group – people with psychosocial disabilities who are homeless. However, many more people are severely excluded: people with other complex needs, people who are in housing but have a mental illness and are severely isolated and vulnerable, as well as some formerly homeless people. These individuals also face problems with access to services and to proper treatment. Thus the analysis in this paper will in many cases apply to those groups as well. Migrants are likely to experience even further obstacles in access to services, especially if their status is irregular. These specific problems are beyond the scope of this paper, but the Task Force recognises their significance. Service providers: not only for vulnerable groups (e.g. homelessness services) but also general services for the entire population (such as health care or police). In the absence of robust data and a range of issues related to measuring homelessness8, the number of homeless people can only be roughly estimated. A comparison of the levels of homelessness in various European countries based on data available suggests that around 0.1% of the population in each EU member state is homeless (see table below for an overview of homelessness statistics in three selected countries). This means that at least 503,000 people are homeless on the EU territory. It is also estimated that around 30% of people who are homeless have a severe mental illness. This implies that the focus of this paper applies to at least 150,000 people on the EU territory. Moreover, homelessness is frequently measured on a given day in a year, which means that more people can have the experience of homelessness throughout that given year, as some have stopped living as homeless people and others become homeless. Based on observations, a person affected by this problem is likely to fall into a certain profile: male, aged between 35 and 50, coming from a low socio-economic class, who experiences a severe mental illness. Most likely he uses alcohol and drugs excessively or suffers from an addiction. He is known by various services in the area (e.g. a municipality), but these services have not been able to significantly improve his situation. Possibly he is even considered a ‘persona non grata’ by at least some of them. Alternatively, local services are completely unaware of this individual despite his presence in their area (e.g. rough sleeping in a city). Yet not all people with psychosocial disabilities who are homeless fit into this profile. Some may be younger or older, or come from other socio-economic classes. In such cases, they are at even higher risk of exclusion as services tend to have a higher ability to support majority groups. It is estimated that around 80% of people who are roofless or houseless are men. Women are often the ‘hidden homeless’: they keep a roof over their heads through remaining in relationships with men; they may be physically and sexually abused but are unable to walk away due to lack of alternative housing options. Although a very crucial problem altogether, ‘hidden homelessness’ is beyond the scope of this paper. It appears that the female portion of the homeless is equal to the portion of male homeless who are the most affected by complex problems. Women with the same degree of problems as the less affected homeless men are likely to be near-to-homeless, as they manage to keep a roof over their heads. Observations suggest that it takes very severe problems for a woman to end up in the streets. Thus, those women who are roofless most likely experience severe mental illnesses, have very complex needs and will therefore require very specific support. People with psychosocial disabilities who are homeless do not have proper access to a variety of services, which perpetuates their exclusion. This group suffers from a number of psychological, cognitive, behavioural, functional and communications problems. In fact, these problems are likely the reason they have become homeless in the first place. For a variety of reasons, many services are unprepared to cater for these complexities. These will now be explored in detail and suggestions for solutions will be offered. In this paper ‘access’ is understood not only as an entry to or use of available services, but as a multifaceted set of factors that influences entry or use. Access is therefore the result of fit between the user and the system, based on the characteristics of both. The dimensions that are involved include availability, accessibility, accommodation, affordability and acceptability of services9. Exclusion is thus seen here as a mismatch between the characteristics of a service and a user. Although this paper refers to ‘people who are excluded’, it must be strongly emphasised that people remain outside of the system because services do not ensure their inclusion. If a person with a psychosocial disability remains outside of the system or if the existing services are unable to provide support, it is the services that fail to fulfil their role, and this needs to be addressed. In the context of this deliberation, one could say that it is services that need to find ways to gain access to people in need. The analysis in this paper applies to both the range of services for highly vulnerable and excluded people and to mainstream services which are designed to serve all members of society. These include: general health care, mental health care, community-based health care, social services, and specialist services such as addiction services, homelessness services, supported housing services and outreach services10. Services are also understood as all forms of social welfare, which includes provision of benefits and income support. Based on field experience, the members of the Task Force indentified several reasons why people with psychosocial disabilities who are homeless may not enjoy access to services, or not receive proper support within services or even be refused or expelled from services. Stigma and prejudice that still surround mental illness underlie all problems. Several factors contribute to this: from disinformation permanently supported by the complicity of certain mass media and widespread lack of information, to lack of adequate training at all levels, from the professionals working directly in the streets and shelters to policy makers. Prejudice among the general public often leads to the Not in My Back Yard (NIMBY)11 attitude and makes it difficult to gain support and set up services for this group. lack of follow-up strategies within services: for example, if patients do not keep or follow up on their appointments or test results, they are overlooked. Although doctors in some hospitals make follow-up phone calls to patients (which does not work for people who are homeless for obvious reasons), there is lack of true outreach strategies, such as seeking contacts with patients outside of a service, such difficulties in employment activities. It must be stressed, however, that stable housing has to come before labour inclusion. access to services is conditional on fulfilling certain requirements: for example, receiving income support may require having a bank account16, which can be difficult due to a lack of address – again such an ‘ordinary’ requirement that does not cause any issue to the majority will lead to temporary or permanent exclusion for people who are homeless. It should, however, be acknowledged that some services have been able to overcome at least some of these barriers. Similarly, an increasing number of local and regional authorities realise and address at least some of the issues outlined above. Equally, services whose practices do result in the exclusion of people with psychosocial disabilities who are homeless can be characterised by one or many of the tendencies listed above and to varying degrees. Individual barriers: It must also be recognised that people with psychosocial disabilities who are homeless may themselves show resistance in asking for help and approaching services, sometimes due to bad past experiences. Individuals may face emotional barriers or feel they have been let down by the institutions in the past. In some cases, access to services exists but an individual does not want the contact or any kind of help. This could be because of the anxiety of being locked up in an institution or it could be due to delusional, psychotic thinking and understanding. The reasons why services become inaccessible to the most vulnerable individuals often converge, co-occur and reinforce each other. The following examples presented here stem from the direct field experience of the practitioners who are the members of the MHE Task Force, and they illustrate the circumstances through which exclusion can arise. How people with dual diagnosis are not offered adequate treatment: Patients with dual diagnosis, i.e. severe mental health problems combined with drug addiction, are at risk of ‘falling between two stools’. The psychiatric treatment system is responsible for the treatment of mental illness, while substance abuse treatment is often arranged within another system and led by practitioners with another theoretical background. The collaboration between these two systems is difficult and all too often does not work. As a result, the patient is sent from one service to the other and back again. It is difficult to identify both mental illness and addiction when patients with dual diagnosis seek treatment. This is true for both treatment systems, which either focus exclusively on the mental illness or on addiction. It may mean that acute psychosis in a patient under the influence of drugs or alcohol is mistakenly perceived as having been substance triggered (which results in the patient being transferred to an addiction treatment facility), or that acute intoxication is mistaken for a psychotic state (also resulting in a transfer). The consequence is that dual diagnosis patients are not offered the necessary addiction treatment within the psychiatric treatment services and patients in the addiction treatment system are unable to obtain the necessary psychiatric diagnosis and treatment. This problem is more often the rule than the exception. Patients with dual diagnosis have for years been thrown like ping pong balls between treatment systems. Moreover, people tend to be rejected because they might disturb the ‘equilibrium’ of the treatment setting. Often, they are not even welcome in departments for people experiencing psychosis because of the threatening nature of their addiction. When they are unable to access treatment services, they are at risk of becoming the passive or active victims of violent or delinquent acts. They frequently end up in prison or commit suicide. It is not an exaggeration to state that they are the real outlaws or pariahs of our society. Such individuals suffer from multiple exclusion: they are not only isolated from the general public, but also from user groups where they could receive some form of support. Task Force reported that with time, the staff of such projects may start displaying preferences towards “easier” clients of the service. One Task Force member brought testimony in the course of developing this paper relating to a service set up for people with highly psychotic behaviour, severely addicted and homeless without a social support network. In the course of operations, the staff started to display a preference to working with young people whose prognoses were more optimistic (first psychotic episode, abusing drugs only occasionally, still having bonds with family and friends). It seems that many departments neglect clients familiar with the chronic and relapsing nature of substance-abuse and with dual diagnosis. It was also reported that that many services tend to increase their threshold in comparison with the original intention to be a ‘low-threshold’ service. Due to the fact that services are subject to the criteria of quality and effectiveness, services come under pressure to succeed in their ‘mission’ and the staff may end up specialising more in certain groups and therefore contributing to exclusion. In this process, the needs of the service start taking precedence over the needs of the people the service is meant to support. Gradually, the needs of the service itself become the central objective and the service may turn into a paternalistic acting ‘other’ with omniscient answers. In such a set-up, no real encounter or anchoring of the client can occur, and so the person with their own personal story cannot appear. This is the result of neo-liberal culture where the ‘care and cure’ approach is becoming increasingly more bureaucratic, economic-oriented and objectified, and where the subjective and social nature of human beings is neglected in favour of a bio-medical approach. Up until the 1990s, many people with mental illness were hospitalised in psychiatric hospitals (public or private) or in acute wards. Subsequently, deinstitutionalisation became a trend in psychiatry in Europe – first in the western countries and more recently, in the eastern countries. Throughout the years, many long-stay wards have been replaced by modern community-based residences. This trend is based on the recognition that living in a closed psychiatric institution, which organises patients’ lives according to its own institutional regime and needs, is a form of social exclusion and more often than not constitutes an infringement of a person’s freedoms and human rights. At the same time, in the USA, a movement focused on the right for people experiencing psychosis to make their own decisions on how to live, with reference to the Universal Declaration of Human Rights (see ‘Madness in the Streets’ by Virginia C. Armat, Rael Jean Isaac, 1990). Famously inspiring to the rest of Europe, the Italian Law §180 on psychiatry dating from 1978 led to the closure of most of the old psychiatric institutions. By 2000, all public psychiatric hospitals in the country were closed and by 2013, the same was achieved for all forensic psychiatric hospitals17. The policy transition from an institutional to a community-based setting has resulted in many improvements in mental health services and many people benefited from rehabilitation enabling them to live independently in the community. The establishment of acute psychiatric wards in general hospitals improved the quality of care, as it allowed the input from general hospital services to tend to co-morbidity problems (through liaison and consultation services). development of high-quality community-based services that are able to tend to the needs of people with severe mental illnesses and provide them with support, deinstitutionalisation can lead to severe exclusion and homelessness. In most countries, the awareness of this negative side effect of deinstitutionalisation has been small or not present at all, until the number of homeless people with severe mental health problems has grown large18. Only then – and too late for many – new services have been established to support these individuals in the community. The tragedy of how some people with psychosocial disabilities can end up living in the streets without access to social and health services cannot be seen as a one-dimensional problem. Deinstitutionalisation without a new kind of adequate community-based services is also a consequence of deep and powerful cultural and political forces demanding the right for everybody to take on full responsibility for their own lives. One-eyed and single-sided focus on a civil rights approach to all social problems has been – and is still – partly responsible for the destitution of some people suffering from severe psychosis. Despite the fact that nowadays most activists emphasise the need to couple deinstitutionalisation with the development of community-based services, the risk that the most ill and vulnerable people with highly complex needs and problems will become excluded remains large. For the deinstitutionalisation process to lead to true social inclusion, community-based services must have the ability to assist even those individuals who pose the greatest challenge to them, and to meet their complex needs. Part 3. What is needed? Following the analysis of the causes underlying exclusion of people with psychosocial disabilities who are homeless, the Task Force proposes a range of approaches to remedy the problem. Since many proposals again apply to a number of governance levels, institutions and services, they are presented in a top-down manner – starting from the more global ones that apply to society, governance and legal settings, followed by ideas that apply more locally and within services. It must be noted, however, that the latter is to a great extent dependent on the former. For instance, limited resources provided by authorities are likely to impose limits on how far services can overhaul their practices. Solidarity is an overarching, all-enticing concept that underpins everything that needs to happen within society to combat exclusion of people with psychosocial disabilities who are homeless. It can be expressed through a variety of societal processes, from decisions of governing bodies to actions of individuals in the community. Solidarity means taking action and responsibility – instead of closing eyes, ears and mouths to avoid problems, as in the pictorial maxim of the Three Monkeys – it requires seeing, listening, speaking up and acting. Governments can act to promote solidarity within society. Awareness-raising to eradicate stigma and prejudice towards people whose behaviour and appearance do not follow societal norms plays a great role in creating profound and deep solidarity in society. Another important aspect in encouraging solidarity is giving people the tools to respond, as societal apathy or indifference may also be a self-protecting mechanism when citizens feel helpless. Thus, authorities and services can act to reinforce solidarity in society by both creating response systems to which everyone can refer to, building a sense of collective responsibility and setting norms of equality, non-discrimination and inclusion. The mainstream media also hold a responsibility. Adequate resourcing of services and welfare support for the most marginalised members of society at the EU, national and local levels. Money saved on psychiatric hospitals should be reinvested in community-based services (but funding should not be limited to these resources). There is a need for social investment that will promote the well-being for all, understood in a broad and humanistic way, and not limited to economic concepts. Authorities should not hesitate to prioritise resources to respond to this extreme form of exclusion and injustice, even if the return on such investment is slow and therefore cannot bring instant political visibility. The efficiency of and investment in services are always important, but should not impact the ability of services to provide quality care and support in line with the principle of equality. Services that come under too much pressure to perform and meet certain success indicators are likely to be discouraged from working with clients with the most complex needs. Placing too much emphasis on short-term economic gains fails to recognise the much broader nature of well-being in society. 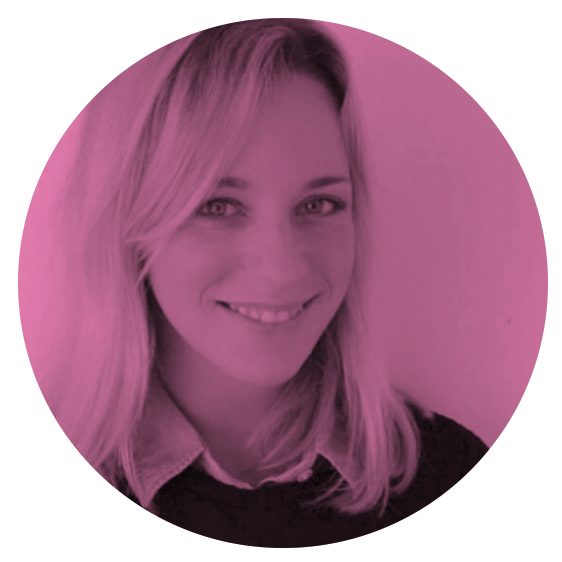 As an alternative approach, authorities that are responsible for service design, funding and provision should focus on effectiveness by ensuring that services are integrated and personalised. Solidarity and equality mean that services are provided even if there is no prospect that their cost will be recovered in economic terms. Creating a legislative environment that promotes solidarity and ensures equal access is of paramount importance. The Task Force calls on the European Union to complete the negotiations, adopt and implement the Anti-discrimination Directive19. Moreover, we recommend that socio-economic status be recognised as a ground for discrimination. There is a need to adopt a rights-based approach to basic services, such as health care and housing, across the European Union. Moreover, only by creating routes to legal recourse, such as free legal advice and legal aid, will we ensure true implementation of the laws and rules adopted. Providing stable housing with support and sufficient income to pay rent must be the primary solution, as it constitutes a basis for any further work. However, providing only a home is insufficient and further services must follow. In this regard, the MHE Task Force supports the call for the Housing First approach and emphasises the importance of integrated social and health services. business’. All too often, services believe that the responsibility and the decision about what to do is taken by one service provider only (an individual or an organisation) or worse, by no one! It is only through shared responsibility and close co-working that the complex needs of individuals can be met. Cross-sectoral and cross-service cooperation cannot rely on the initiative of a single individual, as such a personal initiative is at risk of being interrupted as soon as such person moves on to a different job, but rather, it needs to be built into the institutional culture of services. Collaboration should run horizontally ensuring that health, social and judicial systems and services work together, and reach all levels starting from the EU, through national, to regional and local. Co-working on the inter-ministerial level is of importance to secure financial and structural resources to support social inclusion. Moreover, co-working and sharing responsibility needs to also run vertically ensuring collaboration between users, service providers and municipalities. Much progress has been made in several European countries in the field of integrating services, but it seems that co-working between the health sector and the social sector in order to offer integrated services and holistic answers to complex needs must still be reinforced. Precisely this link between the social and health systems must be improved, in order to offer a global response to the person. ‘One-stop-shop’ integrated services, managed simultaneously by the social and public health services, are a model of networking, co-working and co-responsibility. This approach is implemented in many other services and could also be applied to the needs of people with psychosocial disabilities who are homeless. Responding to complex problems requires the involvement of a variety of professionals to solve them in the best way. It is in itself a great challenge to make different services with different cultures and ideologies work together. The biggest challenge, however, probably lies in sharing the responsibility with the user and to engage the users to share responsibility and decision-making. On an individual level, the experiences of the Task Force members suggest that too often it is difficult for professionals to listen and to accept users as partners. In the majority of cases, no separate services are recommended, despite the emphasis put by this paper on the specific and complex needs of people with psychosocial disabilities who are homeless. It is not only that ‘services for poor people are poor services’, but they also exert a stigmatising effect. Instead, a rights-based approach and equality need to be implemented in all services, with policy-makers at all levels promoting access to mainstream services for vulnerable groups. Professional expertise and knowledge on specific needs can be brought into the services by creating smaller, specialist units, which take over only if strictly necessary, and otherwise have an advisory role assisting all staff to provide services and respond adequately to individuals with complex needs. For this to materialise, plenty of awareness–raising among various professionals and civil servants must be carried out. Capacity-building of service providers, including understanding the diversity within this group and specific needs depending on age, gender, socio-economic class and type of mental health problem are the key. Proximity of services is also important since location, transport links and environment are all factors that can influence access. For instance, establishing one service in the city centre to cater for everyone creates more barriers than creating smaller services distributed throughout the neighbourhoods of the city. In other words, services must go where there are people in need. Another important dimension is outreach work and building bridges. In order to facilitate access to services, it is necessary for services to reach the homeless people where they are living, for instance in the streets, shelters, squats, etc.). Mobile outreach teams, where professionals move around a city bringing services to people are considered a good practice. In the meantime, bringing basic services to people (such as food or clothing) can also be used as a means to establish a first contact, build trust and invite them to avail of further assistance. As a rule, services need to move towards people, rather than waiting for people to move towards them. Assertive Community Treatment (ATC) can be a good practice when combined with the other implementation principles highlighted in this paper. In any professional relationship (in the street, shelter, squat and similar) with a person who is homeless and also has a psychosocial disability, no treatment will be therapeutic without first establishing a trusting relationship, based on mutual understanding and complicity. For successful care and cure, the staff of the services needs to have the capacity to develop a meaningful, deep and close relationship with people with severe psychosocial disabilities. This ability is a sum and a combination of staff competence (and training) and capacity of the service (time constraints, rooms, time for outreach, developed approaches and strategies). Although a person-centred approach is already well recognised and adopted in many services, there is really still a need for an authentic Copernican revolution, where the person and their needs take precedence over any other considerations of a service. Services that are truly available to the most excluded people demonstrate respect and strive to provide flexibility, regularity and continuity. People need to be accompanied to a service and they need to be welcomed at a service. People cannot be turned away because of their looks, behaviour, attitude or inability to keep appointments, lack of documents, etc. Professionals must still strive to listen to a person, to their wishes, what services they like and prefer. If a person’s dignity and respect are upheld above the institutional demands, then it is possible to reach the person – to achieve true access to the person and in turn make it possible for the person to access the service – meet individual needs and break the cycle of exclusion. This requires high-level capacity and understanding of all staff, which services need to invest in, as well as the readiness of institutions to depart from their established structures, procedures and rhythms, and to start revolving around an individual in need. Behavioural problems represent a large challenge to many services. Most of the people with psychosocial disabilities, especially with a form of psychosis, a history of homelessness and drug use, experience their fellow humans as threatening. Their answers to this massive fear are ‘fight of flight’, aggression or escape. Their ‘bizarre’, ‘anti-social’ behaviour constitutes in fact an answer to their exclusion and their feeling of being reduced to an object. As a result, they are often rejected from the social and health care systems. The starting point to overcome this issue is the recognition of a client’s radical social exclusion: being welcome in a shelter or a community home offers them an anchor in their fight against segregation. Acceptance of their ‘being different’ signifies a first form of treatment. One must be aware that the behaviour is the reaction of a person, and so neglecting them would mean yet another rejection of their needs and perpetrating the dismissive spiral. Breaking exclusion requires the system to become attuned to people’s needs. It is important that social services for people with psychosocial disabilities do not just continue the approach, known as the modus operandi of many large psychiatric institutions, based on the bio-medical model of mental health, where the most established tradition is to see the person as a subject, to find the right diagnosis and provide the right medical treatment, and where paternalism is the standard way to take care of the ill. In social services (social-psychiatry) the fundamental ideology must be based on humanism and both the one who needs support and the one giving support must meet as equal human beings. Respect, acknowledgement and appreciation must be the core of the relationship between them. From the point of view of a professional, support must be given in respect to what is possible and wanted by the client and based on the recognition that the client knows more about who he or she is, and is the expert in his or her life and condition. This social-psychiatric paradigm and method of working should not only be applied outside the hospital system but must also be accepted as part of the entire psychiatric treatment system. The majority of problems discussed in the above sections apply to services that respond to the complex needs of people with psychosocial disabilities who have become homeless. However the very best way of supporting this group is preventing their homelessness in the first place. Two streams of prevention are discussed in this section, because people with psychosocial disabilities can become homeless through two routes. In the first route, a person loses their home due to their mental health problems (usually combined with other social and economic problems) when they were living in a community. In the second route, a person can become homeless after leaving a psychiatric institution or a hospital, following a (usually prolonged) stay in a non-community based facility. The following sections present components of preventive strategies for both routes in corresponding order, but all strategies for the first one also apply to the second one. Tenancy sustainment projects for people with previous experience of homelessness to help them avoid returning to homelessness. In addition to the above interventions, it is essential to ensure that people with psychosocial disabilities are not discharged from psychiatric or other facilities without alternative accommodation available to them. Moreover, it is of paramount importance that well-developed community-based support is in place, which has the capability to respond to the most complex needs. Participation of individuals in policy development. Above all, however, the priority in the prevention of homelessness on discharge from institutions is the implementation of deinstitutionalisation strategies and promotion of community-based services. These entail closing down large psychiatric institutions and hospitals and creating acute psychiatric wards within public hospitals, where stay is limited to the necessary minimum. Discharge strategies still need to be implemented for these, but the overall framework of providing psychiatric care predominantly in the community significantly reduces the risk of homelessness. This paper proposes a major overhaul in the approach to provision of services for people with psychosocial disabilities who become homeless or are at risk of becoming homeless, with the aim to combat their perpetual exclusion. It includes putting the person at the absolute centre of the system, with respect and openness as to who the person is and what her or his needs are. Shared responsibility at all levels is of key importance: people with psychosocial disabilities who are homeless need to become ‘everyone’s business’. Precisely what needs to be done in each country, region or city, as well as within each service will differ depending on the context, as Europe is rich in its variety, but in the opinion of our Task Force, the common denominator can be found in solidarity, social rights and social cohesion, and respect and dignity for all people, as expressed by the European Social Charter21. EU-level policy makers can promote the change of paradigm by creating an EU Action Plan on Homelessness with a comprehensive mental health perspective, which would play a major role in setting trends and standards across the Member States. National, regional and local governments can analyse the design, funding and implementation of the existing and planned interventions using the ideas provided here to alter the operational modes of services and approaches to provision of support, to ensure that all services promote inclusion, even of those people who are on the utmost margins of society. Services can also review their practices, regardless of currently experienced constraints, as much relies on the attitudes, awareness and skills of their staff, as well as approaches to clients and modes of practice. At the same time, services also ought to make their needs known to the local authorities, through advocacy and lobbying work, to gain more support for promoting the inclusion of people with psychosocial disabilities who are homeless or at risk. A research study prepared jointly by Mental Health Europe and SMES-Europa entitled “To Live in Health and Dignity” presents many suggestions for further development, which can serve as a good resource for both the authorities and services. Much more research at the European, regional and local levels is needed in this area, on the needs of people with psychosocial disabilities, causes of their exclusion from services and good practices in overcoming it. Awareness and mutual responsibility in society need to be promoted as well, to combat stigma and discrimination and to educate on needs and awaken communities into action. At the end of the day, however, it is up to each single individual, each and every day, to act, in both their private and professional capacity, to do what is possible and extend a helping hand in a spirit of respect and equality. Both people sleeping rough and those who spend nights in emergency shelters or other homelessness services, but spend time in the streets during the day. “Not In My Back Yard”, known as NIMBY, or “Not in My Neighbourhood” are terms describing opposition by residents to a proposal for a new development because it is close to them, often with the connotation that such residents believe that the developments are needed in society but should be further away. “Low-threshold” services are services that make minimal demands on the client for admission and during treatment. A perverse incentive is an incentive that has an unintended and undesirable result which is contrary to the interests of the incentive makers. Note on financial management: People with psychosocial disabilities who are or have been homeless should have the same rights to take care of their own finances as any other citizen. However, it must be noted that for some, the price of exercising this right could be financial problems that can even result in homelessness. Thus, depending on the individual case, people may also require support in maintaining their finances and credit. Retail banks need to understand how to safeguard customers with disabilities. Hospitals where people are detained on the basis of criminal law, and where detainees are diagnosed with a psychiatric problem. Experience suggests that at times this phenomenon will not be reflected by growth in the number of homeless people in a given area. This may be because other interventions towards a different group of homeless people will simultaneously decrease their presence among the homeless population. For instance, in Denmark, the total number of homeless people was the same in 2007 and in 2011, but the number of homeless people between the age of 18 and 29 grew between 2007 and 2011 from 1242 to 1590 individuals. [Hjemløse i Danmark 2007 & 2011 SFI- Det nationale forskningscenter for Velfærd]. Therefore, the increase of people with psychosocial disabilities among the homeless may be visible in changes of the structure of the homeless population, but not in absolute numbers. Moreover, changes in the numbers of the entire homeless population are difficult to measure, and usually people using certain types of services are counted. This may omit those most excluded. Creating access to employment opportunities needs to be based on promoting accommodation of disability in training, creating suitable, quality jobs, and providing on the job support according to needs.